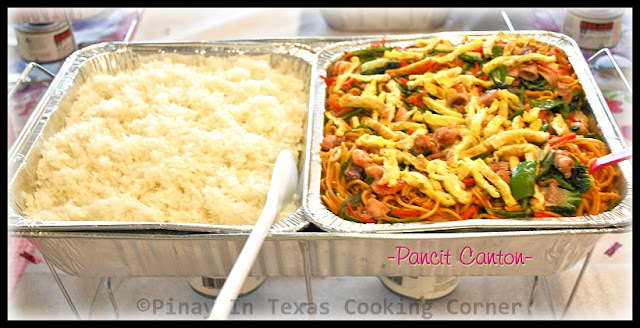 Last Saturday, I got the chance to cook for our goddaughter's combined baptismal and birthday celebration. It was tiring but it's all worth it especially when I saw how the guests liked all the food! There's really a different kind of satisfaction when other people (who aren't your family nor friends) say that the food you cook taste good! It was such an awesome experience to be able to cook for someone else's party! It's like I'm on a different level of cooking. 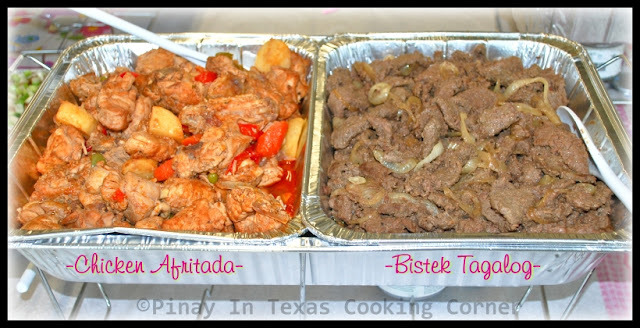 (LOL) Before I share with you today's recipe, let me share with you the 7 dishes from last Saturday. They are all among the favorite food that I've already featured here so this will be like putting these dishes back on spotlight in case you've missed them from my previous posts. 1. Sprinkle both sides of each pork chop with salt and pepper. Let sit for at least 10 minutes. 3. 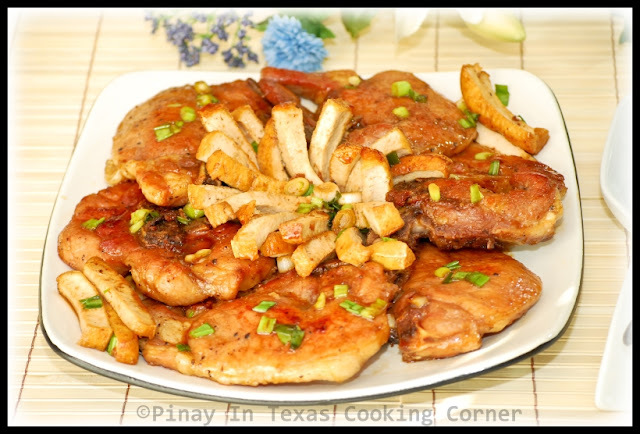 In a large skillet over medium heat, fry pork chops in vegetable oil until both sides are nicely browned. 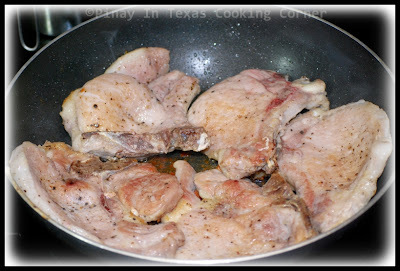 Remove pork chops from skillet. 4. Remove oil by wiping it out with a paper towel. 5. Pour sauce into skillet. Let simmer for a minute or two. Put back the pork chops and cover with sauce. 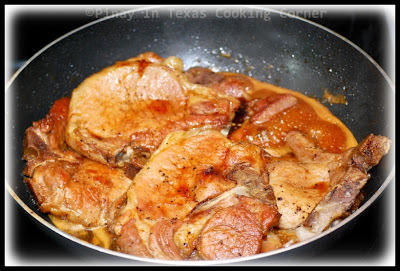 Simmer until the sauce thickens and the pork chops are tender. 6. Transfer pork chops to a serving platter. Keep the sauce in the skillet. 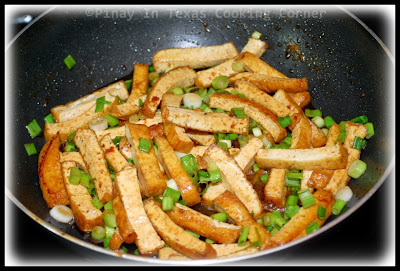 Add the tofu and green onions. Cover with sauce. Simmer for another 3 minutes. 7. Remove from heat and transfer tofu to the serving dish. Pour sauce on top of porkschops and tofu. Serve hot with rice. 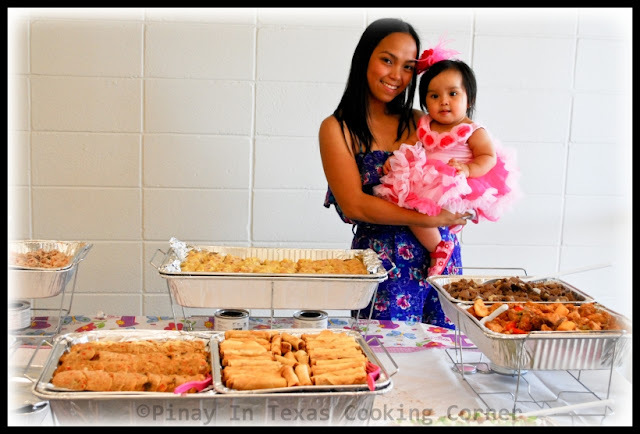 I love Filipino parties because there is always so much food! 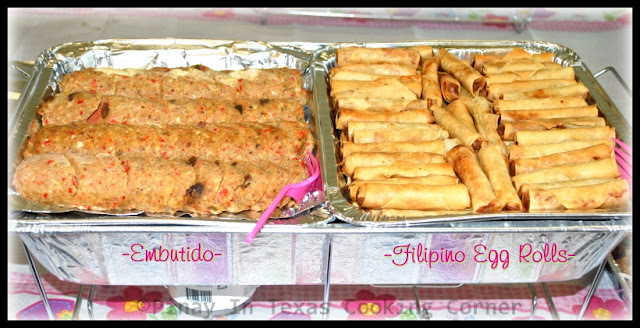 Oh this looks good, but I cant stop thinking about all the LUMPIA!!! Oh Tina your goddaughter is so cute..one good looking child for sure! And food, oh my dear ..everything look amazing!!! 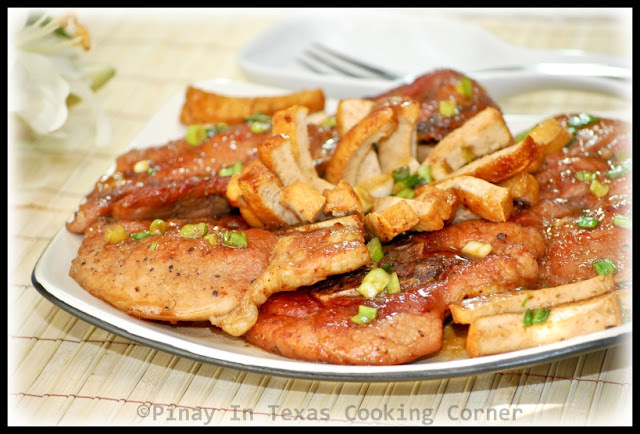 Teriyaki Pork Chops with Tofu and Green Onions look and sound really tasty! Thats an amazing effort you have put in for preparing all the lovely food for the function, fantastic job Tina. 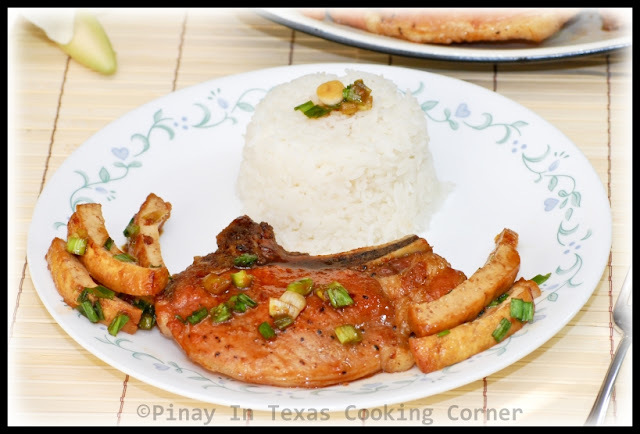 I love the way you have paired the chops with the rice, you know being Asian, we will drool over anything served with rice. This looks delicious and it's amazing you added tofu in there. Gotta see how it's going to turn out. Your god-daughter's so adorable and her mom's so young! Love all your dishes here! My family (except my dad) loves teriyaki so much too! My very first teriyaki dish I cooked and has been our all-time fav since then is teriyaki stewed chicken wings. Thanks everyone! I am so thankful to all of you for visiting my site and leaving wonderful comments! You are all so awesome! 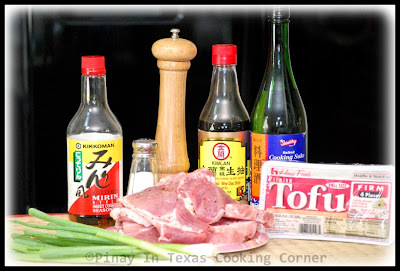 @Lyn: Hope you'll like the teriyaki sauce from scratch. I've been using that recipe since 1997 after Ryan's first trip to Japan. LOL. Btw, my friend is only 27, but I know she looks even younger than that! Ohhhh Tina! 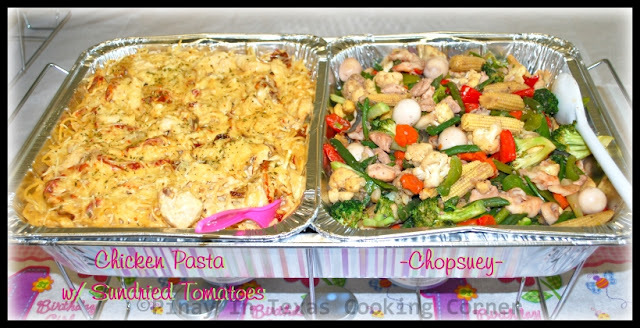 You are such a wonderful person to cook all these food for your friend and her daugther! I'm impressed! You are ready for catering business Tina! I'm serious! Not all cooks have ability to manage to cook all these meals and you just have the talent! You are getting better and better and soon I think you will be neighborhood's chef, then even bigger later!